Summer is on it’s way and we are all super excited to hit the beach and start mini picnics. Keep Your Dog Hydrated : No Matter where you go ensure you carry ample water to keep your dog hydrated. The best way to do this is to carry a collapsible bowl, or a doggie water bottle along. DIY Ice-Cream and Pupsicles : This is an easy pupsicle recipe that wven the kids can enjoy making for their furry companion. Keep Your Dog Well Groomed : Grooming plays a very important role during the hot summer months, especially dogs with double coats. Though their undercoat works as a natural cooling mechanism we need to help them shed the longer fur. A thorough brushing everyday will help your dog shed the excess fur and help them stay cool. Hygiene cuts should also we done regularly. 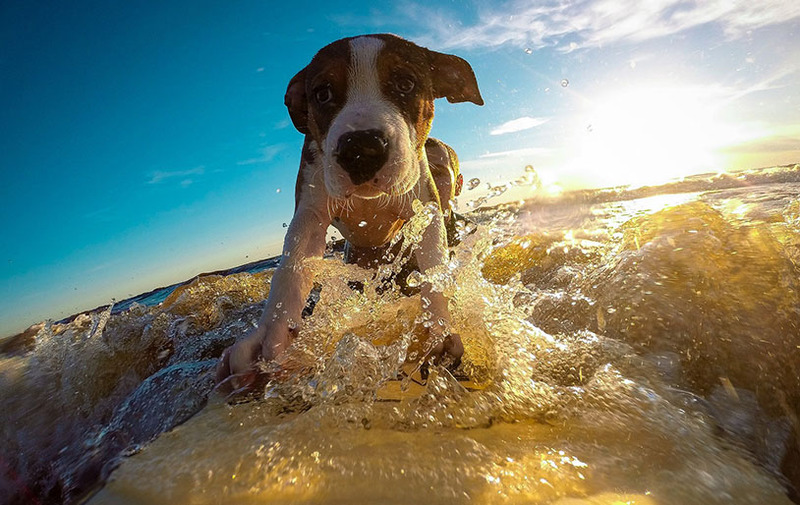 Protect Their Paw Pads : Summer means more exploring for your dog, hot sandy beaches, hot pavements and roads, dusty terrains. You cannot avoid these places, so add a protective layer of wax to your dogs paw pads. Grab a bottle of Buddy’s Healing Balm and protect your dogs paw pads and skin. Avoid Mid-day Outings : If you cannot stand the heat outside, your dog certainly cannot either. On Days you dread going out because of the heat try and keep your dog away from it too. Try and walk your dog early morning, later afternoon and at night. If you notice any of the mentioned signs, move your dog to a cooler place immediately and call you vet. Give your dog some cool water or use ice packs to help him cool off. DIY Doggie cooling mat : Something to help your dog stay cool and also useful in case of a heat stroke. An easy D.I.Y craft by Diana Rambles. As easy as pie… All you need are 2 things, Fleece blanket and Ice packs. We feed our dogs the best dry food we can find! Buddy also gets served an occasional bowl of dry food, but it’s accompanied with fresh veggies and meat to balance out his dietary requirements. It’s essential we add natural Fibre and protein to their bowl! We cannot put a dog solely on dry food and expect it to get all the nutrients from it. It’s like you eating out everyday and expecting to stay healthy! An article by Dogs Natural Magazine reveals so many facts that it got me thinking! Am I feeding my dog the right stuff??? Yes, dry food is convenient and less time consuming. Not all of us have the time to cook fresh food.. We get it! But let’s take a logical approach to it..
1.What is it made of? Have you ever wondered what goes into making that kibble? Like we wonder what makes the Mcburger so yummy! It’s a cocktail of things pulverized, processed by high temperatures, so even if there was any essential oils etc it’s killed by the heat. If you cook foods above a certain temperature it looses nutrient value.. So what are we feeding our pooch? Read what PetMD has to say. 2. Dry food with added essential fatty acids!!! Oh that’s good..!? Well again, keeping it open too long would result in the fatty acids going rancid and that’s the worst for our dogs! Fatty Acids are an important part of our dogs diet, but we need to resort to more natural forms rather than rely on just kibble. 3. How long will kibble last? Time, moisture, heat and air are harmful to the dry food we use. Yes dry food can go bad! please do not store open bags for more than a month. Dogs Natural Magazine says 14 days isn’t that shocking! So how do we store 5kg and bigger bags?? Don’t buy large bags please!!! No matter what brand the dry food is.. Bacterial and fungal growth is inevitable! Store it in an airtight container and put it in the freezer. Away from light, heat and air. As stated by Dr. Becker, in an article on Healthy Pets, Dry food is like fast food for dogs and cats, we have to try and include fresh food as much as we can. This will enable our furry companions to have a long and healthy life! 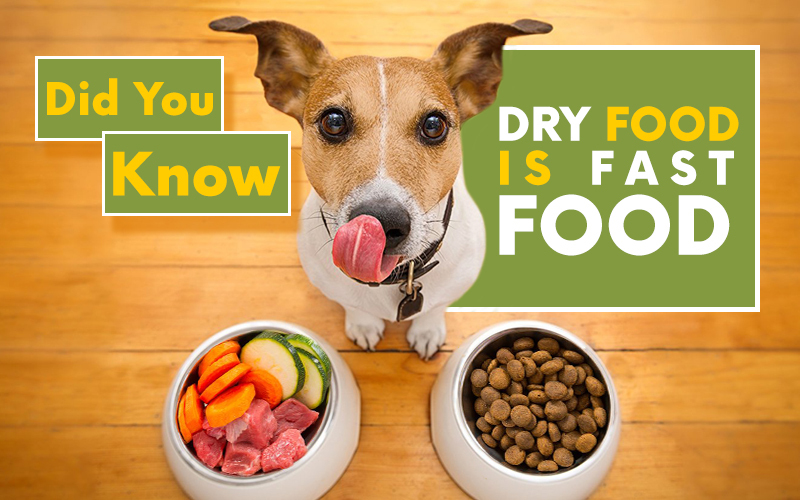 Dry food can be a part of your dogs diet but not everyday!